Hot Brown Bites · How To Bake A Pie · Recipes on Cut Out + Keep · Recipe by Lindsay T.
A Louisville (and Kentucky Derby) favorite! My take on the classic and decadent Hot Brown in bite-sized form! To make the Mornay sauce: Melt the butter in a small saucepan over medium-low heat. Slowly whisk in flour until well combined to form a roux. Cook the roux for 2 minutes stirring frequently. Increase heat to medium. Whisk in heavy cream and cook until the cream begins to simmer, about 2-3 minutes. Remove saucepan from heat and whisk in cheese 1 tablespoon at a time until sauce is smooth. Taste sauce and adjust salt and pepper levels as desired. 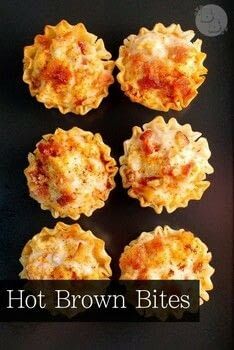 To assemble the Hot Brown Bites: Preheat the oven to 325 degrees. Line a baking sheet with parchment paper. 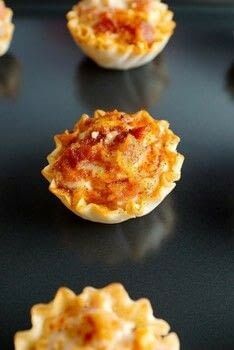 Place mini phyllo tart shells on parchment-lined baking sheet, about ½ inch apart. Fill the bottom of tart shells with a sprinkling of shredded white cheddar cheese. 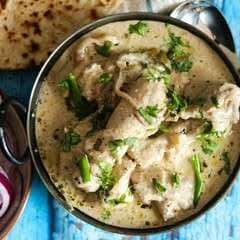 Combine the cold Mornay sauce, turkey breast, and tomatoes in a medium-sized mixing bowl and gently mix to combine. Transfer mixture to a quart-sized Ziploc bag to use for piping. Snip the tip of the Ziploc bag. Pipe mixture into each tart shell. 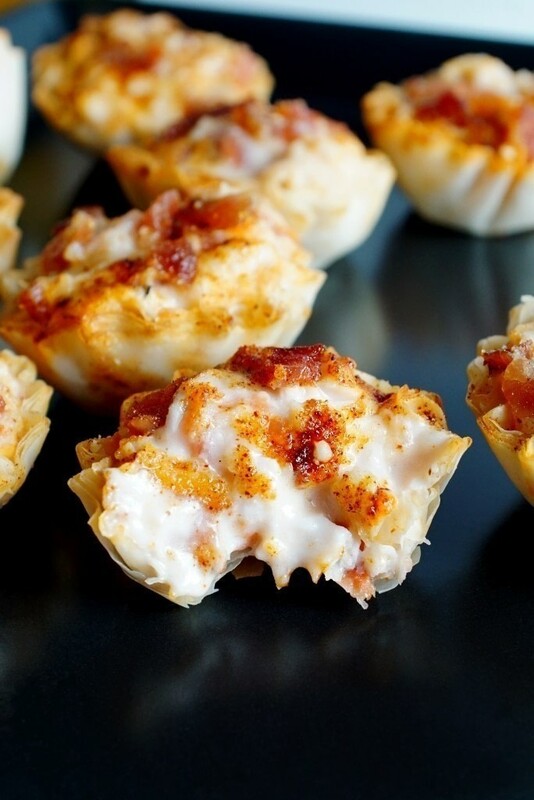 Top Hot Brown Bites with bacon and a sprinkling of paprika and Parmesan cheese. Bake for 8-10 minutes, or until heated through. Allow to cool for a minute or two, then serve!